European new-car sales increased 13.7 percent in November, with Ford, Opel, and Fiat Chrysler all gaining volume faster than the market growth. Registrations rose to 1.12 million last month in the EU and EFTA markets, according to data released today by industry association ACEA. The increase marked the 27th straight month of growth, following a six-year slide that ended in 2013. Sales in the first 11 months rose 8.6 percent to 13 million, ACEA said. Volkswagen Group saw sales rise by just 4.2 percent as the automaker's emissions test-rigging scandal hit its showroom traffic. The core VW brand's market share tumbled to 12.2 percent from 13.5 percent, as sales edged just 3.1 percent higher. Skoda's volume increased by 11 percent, while Porsche's sales rose by 4.9 percent and Audi's registrations increased 4.1 percent. Spanish brand Seat's sales fell by 2.5 percent. "We are only just starting to see the real impact" of the emissions scandal, as current deliveries reflect orders placed as long as three months beforehand, said Carlos Da Silva, manager for European vehicle sales forecasts at consulting company IHS Automotive. Bolstered by new models, rivals were better able to take advantage of gains in European business and consumer confidence. Ford of Europe had its best November in Europe since 2009 with its volume up by 21 percent. Ford said last week that its Mondeo sedan and Kuga and EcoSport SUVs were among the main contributors to its growth in the region. Opel/Vauxhall, helped by the new Astra, saw sales rise by 19 percent. Fiat Chrysler's volume was up 18 percent as a 20 percent gain at the Fiat brand and 50 percent growth at Jeep offset declining Alfa Romeo and Lancia sales. The new Jeep Renegade and Fiat 500X crossover, and a refreshed Fiat 500, boosted FCA's volume. Sales by Renault advanced 15 percent, while rival PSA/Peugeot-Citroen rose 13 percent, with a 16 percent increase at Peugeot brand tempered by a weaker 7.8 percent rise at Citroen. Download PDF for November and 11-month European sales. Among Asian brands Hyundai posted the strongest growth of 12 percent while Kia was up 9.2 percent, Toyota brand sales grew by 6.7 percent and Nissan's volume was up 5.7 percent. Luxury brands had a good month. The Mercedes-Benz GLA and GLC SUVs as well as new Smart city-car models helped Daimler's sales to grow by 23 percent with Smart showing a 71 percent rise and sales of Mercedes cars up 19 percent. BMW Group's volume grew by 11 percent with 12 percent increase at Mini and an 11 percent rise in BMW car sales. Boosted by new models, Volvo's volume increased by 22 percent and Jaguar Land Rover vehicles soared by 70 percent. Mass-market brands posting the biggest Europewide car-sales gains last month were among the top providers of customer rebates in Germany. Automakers offered an average 13 percent off the sticker price in the country, with GM’s Opel discounting by 15 percent, Ford by 15 percent and French manufacturers Renault and PSA by a combined 15 percent, according to trade magazine Autohaus PulsSchlag. 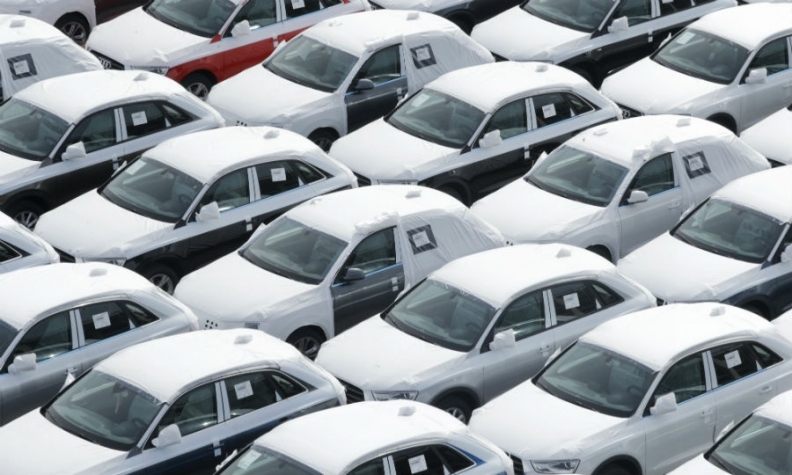 The broader European auto recovery is set to continue into 2016, Ernst & Young analyst Anil Valsan said. "The car market is expected to remain on the growth track driven by the positive economic environment, low financing costs, low fuel prices, high discounts and some remaining pent-up demand," Valsan said. "However, growth is expected to be slower, with interest rates likely to edge up," Valsan said.